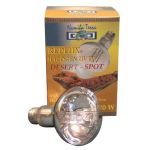 Compact design light bulb holder Adjustable universal joint Perfect for glass tank ..
BORO Reflective Light Clamp Inner coated with thick aluminum Adjustable lamp clip Suitable..
Namibia Terra Crystal Sun® Halogen Spots are specially designed halogen lamps for the use ..
REPLUX® Halogen UV D3 DESSERT SPOT 70W Mixed light emitter use the latest technology o.. 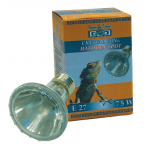 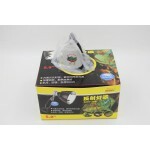 The hybrid light emitter features the latest technology halogen spotlight with 70 watt E27 socket ba.. 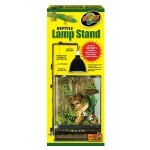 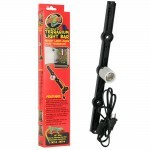 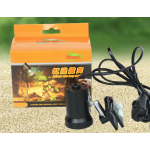 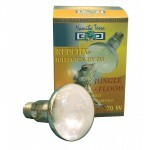 The Terrarium Light Bar that mounts inside the terrarium eliminating the need for external light fix..
Use a Reptile Lamp Stand to safely suspend any of Zoo Med’s Lamp fixtures or Drippers above your enc..